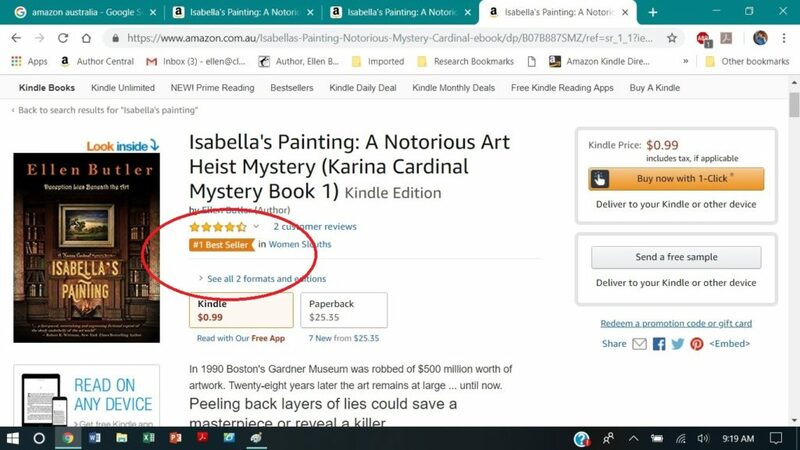 Isabella’s Painting Makes it to #1! 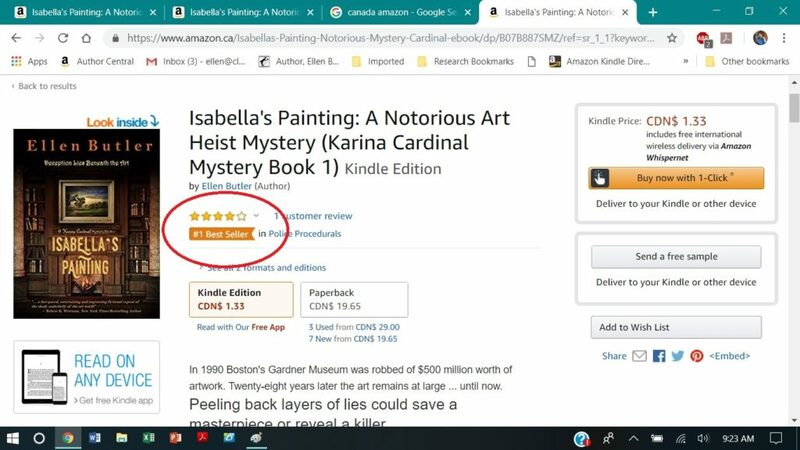 I’m pleased to announce, last week Isabella’s Painting, the first book in the Karina Cardinal Mystery series, became an International Bestseller. The book made it to #1 on Amazon in Canada and Australia. Thank you to all my readers, and thanks to those from outside of the US who have decided to take a chance on Karina’s Adventures! Karina’s second mystery Fatal Legislation is out and available at Amazon, Barnes & Noble, Kobo, and iBooks.